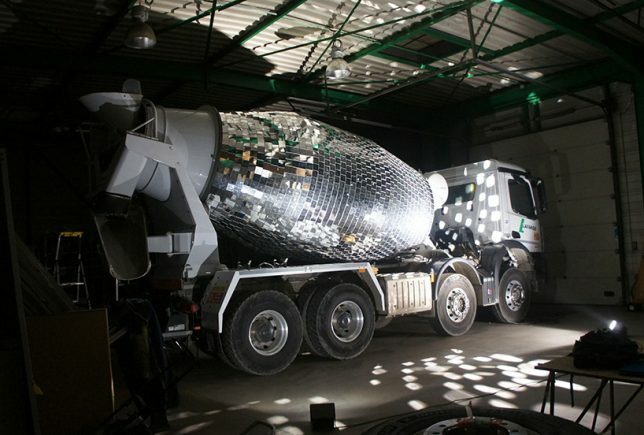 Cladding a cement mixer in pixelated mirror squares, a French artist has created a giant glittering disco ball on wheels able to turn vacant lots and construction sites into instant party zones. 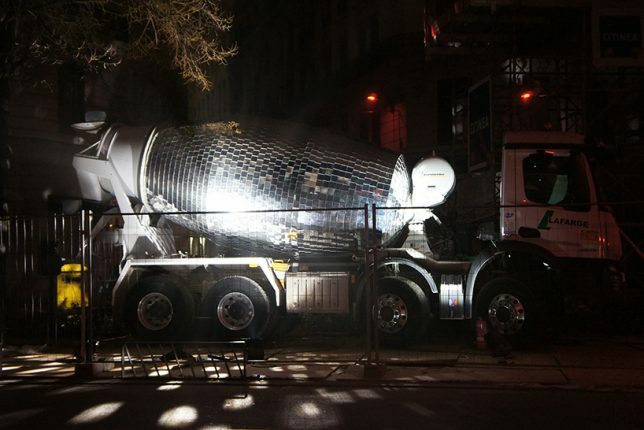 Benedetto Bufalino often adds fun to the mix when working with interactive and installation pieces (unusual sports courts and strange phone booth conversions), for instance, but rarely in quite such a dramatic way. 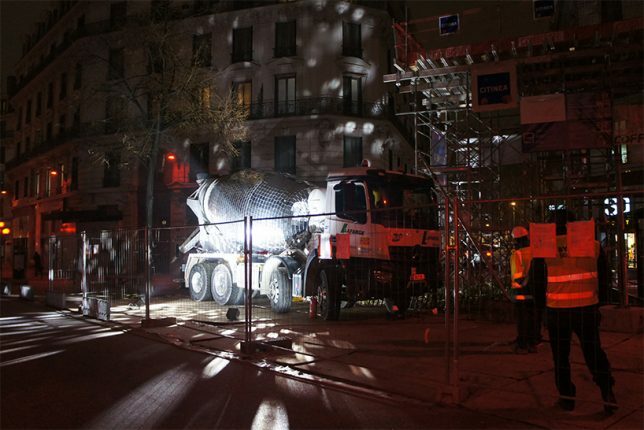 Parked for a time next to a building site in Lyon and given its own spotlight, the artist’s remixed mixer spins up and casts light in all directions. The idea driving the project is simple: bring together locals and passing pedestrians to mix and meet in the resulting rays. 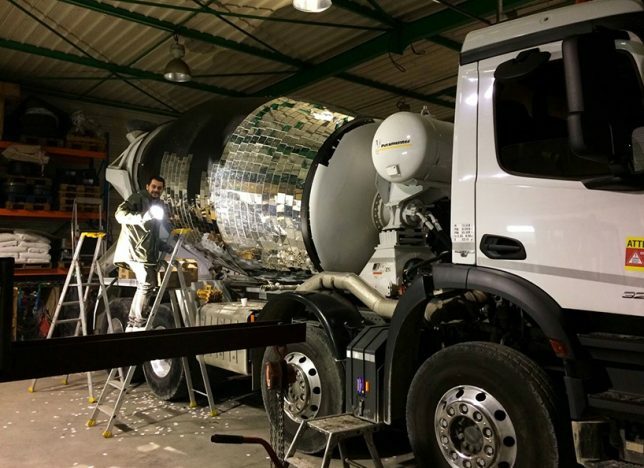 Of course, it doesn’t hurt that the entire setup is mobile — for guerrilla party throwers, the mixer can set up shop then move if complaints mount or authorities arrive. 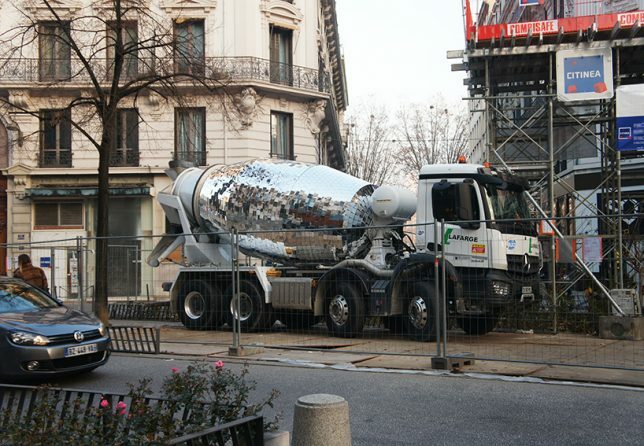 Or it can simply cruise slowly down the street, making for a truly and permanently portable party. 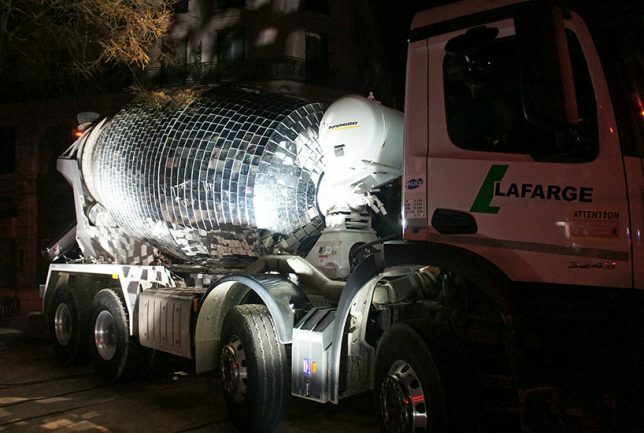 Meanwhile, when not at work hosting parties, the vehicle can carry and pour concrete as usual — like many urban residents, it is a worker by day but a partier by night.